Belize NMS: Relatively warm. Moist and unstable conditions prevail over our area. 24-hour forecast: Sunny with some cloudy spells today and cloudy at times tonight. A few showers and isolated thunderstorms will occur mostly inland today and over southern and along some coastal areas tonight. Today E-SE 5-10 kts Light Chop 1-3 ft A FEW SHOWERS AND ISOLATED THUNDERSTORMS. Tonight E 5-15 kts Light Chop-Choppy 2-4 ft A FEW SHOWERS AND THUNDERSTORMS MOSTLY SOUTH. Tomorrow E-SE 5-15 kts Light Chop-Choppy 2-4 ft ISOLATED SHOWERS AND ISOLATED THUNDERSTORMS. Outlook E 10-20 kts Choppy-Moderate 3-5 ft A FEW SHOWERS AND THUNDERSTORMS MOSTLY SOUTH. 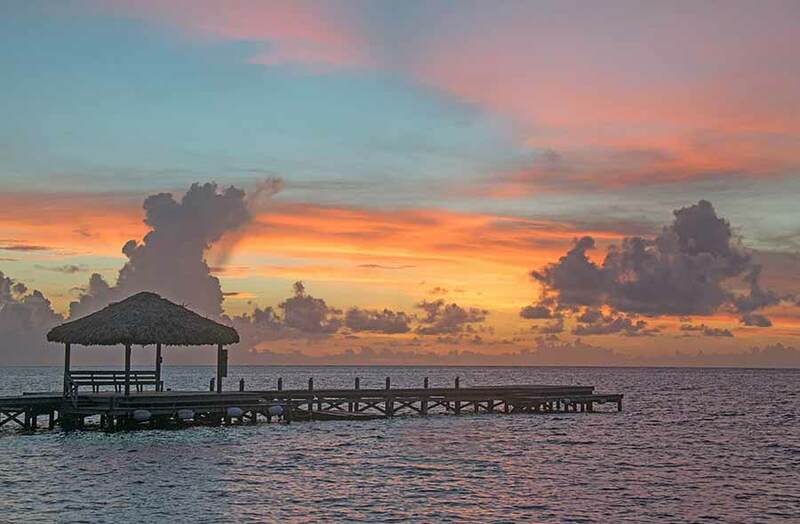 On Ambergris Caye this morning the sky is clear, sea calm and expected high is 89 f.
That large area of swell-up over Honduras did come up over Belize during the night. 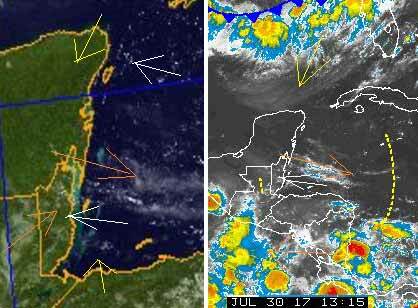 It did cause some rain, not a lot, some in the Cayo district and some around and north of Belize City, that has now almost dried up. There is a significant cold front coming down off the US, across the Gulf, it probably will not come very far, but it is sending some air nearer to the Yucatan. Looks like today will be similar to the last few days, sunny, then clouds developing, some could produce some showers. Things happening around. 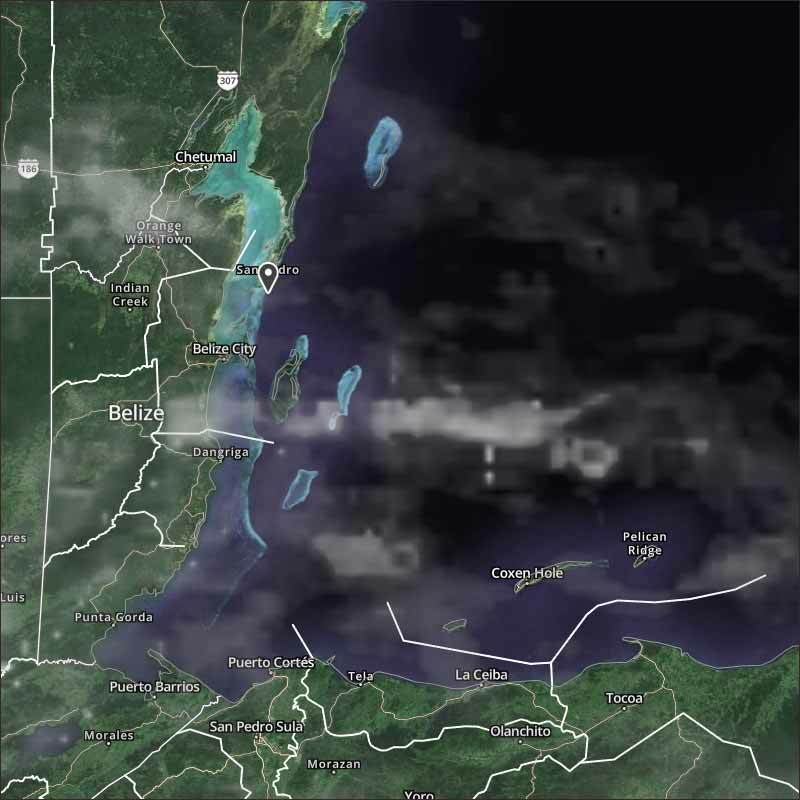 Cloud coming down from the US, swell-ups in the Yucatan and in Honduras. Small, scattered rain showers around. Atlantic cloud building, could develop later.